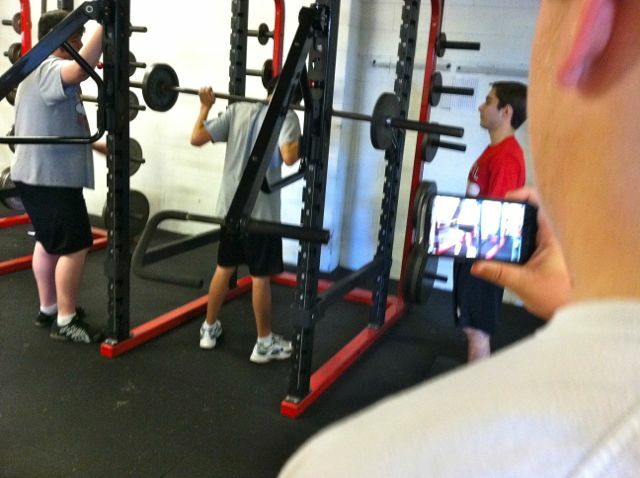 Students create videos to assess appropriate form and their use of the weight equipment. In a recent tour of a high school implementing Bring Your Own Technology (BYOT), I was somewhat surprised to learn that some of the early adopters of BYOT in that school were the coaches in the PE department rather than in the academic areas. After reading a recent post in Edutopia entitled Telling Isn’t Teaching: The Fine Art of Coaching, by Dr. Richard Curwin, I realized that the successful implementation of BYOT by coaches makes a lot of sense. According to Dr. Curwin, coaches can help students develop new abilities through repetition. With consistent practice, students learn how to transfer skills into automatic behaviors and habits. Coaches guide students into exploring their various alternative responsible choices and to carry them out successfully. Likewise, in the BYOT classroom, students need their teachers to become good coaches to guide them in learning how to use their personal technology devices appropriately and responsibly. Students have traditionally used their technology for personal reasons, such as communicating with friends, listening to music, watching videos, and playing games, but the shift into using their devices for learning academic content is often an unfamiliar experience. Furthermore, instead of solely consuming media, the ultimate goal of BYOT is to provide students with the means to become producers of original content that encompasses their personal interests as well as academic information. Practice in these types of activities can help to create new automatic uses of their own technology. 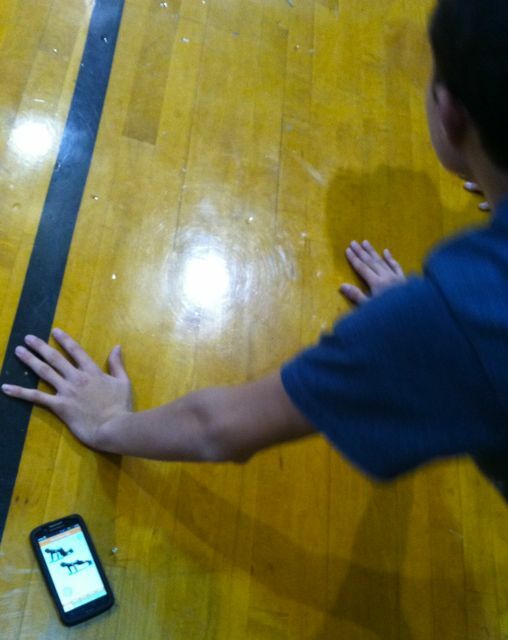 A student models his exercises with the use of an app on his smartphone. 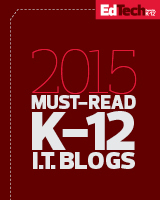 Provide students with ample time for practicing new skills with their own technology. Remember that although they know how to use their devices, they are now being expected to use them in new ways. It takes practice time to make learned behaviors part of a routine. Personalize the help you give students based on their personal needs, interests, and abilities. Good coaches observe their students and understand how to motivate each one individually. Encouraging differentiation of processes and products helps in the personalization of the learning experience. See mistakes as opportunities to learn new skills and strategies. Mistakes can be helpful to highlight where additional coaching is needed. When students feel that their coaches will be understanding and will offer guidance as necessary, then a sense of trust develops. Model appropriate behaviors. Coaches are also learners. They need to know how to find answers, and this can happen by asking open-ended questions and utilizing technology as well as the students as resources of information. Have high expectations for the success of all students. Students can sense when their coaches have faith in their ultimate success and will strive to achieve to that level. Students learn new uses for their devices. Although teachers may tell students how they should use or behave with their devices, responsible use will not be actualized without practice. Dr. Curwin suggested that the coaching to adopt new behaviors should begin in kindergarten and continue throughout high school. BYOT should also begin as soon as students have their own personal devices and continue throughout their schooling. This is one of the biggest benefits of BYOT. When personal technology devices were banned from schools, students often had to learn for themselves the appropriate use of their devices, often with dire consequences. Now, that they are encouraged to bring their own technology tools to school, they can be coached into ways of using their devices that can transfer into enduring habits. This entry was posted on April 9, 2012, 7:05 am and is filed under BYOT Strategies. You can follow any responses to this entry through RSS 2.0. You can leave a response, or trackback from your own site.